Source: Mennonite Library and Archives, North Newton, KS: 2003-0019. Arnold (Abram Bernhard) Dyck: writer, editor, publisher and cultural entrepreneur; born in Hochfeld (Yazykovo), Ukraine on 19 January 1889. Having completed Kommerzschule (business-commercial studies) in Ekaterinoslav, he persuaded his reluctant father to let him study art in Germany (1909-10). After his term of forestry service (Forsteidienst), Dyck studied art in St. Petersburg until World War I. During the war he served in a Red Cross office, them returned to Yazykovo to teach art at Nikolaipol. In 1923 Dyck immigrated to Canada with his family, settling in Steinbach, Manitoba. Unable to establish himself as an artist, he purchased the German weekly Steinbach Post in 1924 and began his remarkable career as editor, writer, and publisher. Not content with journalism, he optimistically launched Mennonitische Volkswarte (Mennonite People's Sentry, 1935), a monthly literary and cultural magazine. It became an important forum for a small but dedicated group of Russian Mennonite émigré writers. Lack of readers and financial means, however, forced him to discontinue the Warte after 1938. Having sent his family to Germany in 1938, Dyck was prevented from joining them by the outbreak of World War II. In the meantime he had sold his newspaper to devote himself to a full-time literary and publishing career. With Koop enn Bua opp Reise (Koop and Bua on the Road, 1942-43) he began his popular series of Low German comic novels depicting the travel adventures of his two naive "bush" farmers from rural Manitoba. Two sequels -- Koop enn Bua faore no Toronto (Koop and Bua Travel to Toronto, 1948-49) and Koop enn Bua enn Dietschlaund (Koop and Bua in Germany, 1960, 1961) -- further established "Koop enn Bua" as comic characters with universal appeal. Dyck's nostalgic autobiographical novel Verloren in der Steppe (Lost in the Steppe) appeared in five parts between 1944 and 1948, a masterwork of its kind. Around this time he embarked on his one financially successful publishing project, the series of thirteen books on Russian-Mennonite history published by the "Echo-Verlag." He also wrote three well-received Low German plays -- Dee Fria (The Suitor, 1948), Wellkaom oppe Forstei (Welcome to the Forestry Service, 1950) and De Opnaom (The Initiation, 1951) -- and two collections of short fiction: Dee Millionäa von Kosefeld (The Millionaire of Goatfield, 1949) and Onse Lied (Our People, 1952). During his declining years Dyck lived with his daughter in Germany and died in Darlaten on 10 July 1970. Arnold Dyck's stature as a major Mennonite writer remains secure, as evidenced by a handsome four volume edition of his collected works (1985-89). Dyck forged his beloved Plautdietsch (Low German dialect) into a superb literary language that makes his "Koop en Bua" works come alive as an authentic comic masterpiece, along with several of his short stories. His dry, gentle irony suffuses all his writing like an inner light. No other writer has surpassed Dyck in his wise and compassionate insights into the heart and soul of Mennonite ethnic experience. The Collected Works of Arnold Dyck, 4 vols., ed. Victor G. Doerksen, George K. Epp, Harry Loewen, Elisabeth Peters, Al Reimer. Winnipeg: Manitoba Mennonite Historical Society, 1985-86. Dueck, Mary Regehr. "Arnold Dyck: Non-Conformist." Mennonite Life 30 (December 1975): 20-24. Dyck, Arnold. Lost in the Steppe, trans. Henry D. Dyck. Steinbach: Derksen Printers, 1974, gives some idea of the author's literary magic but falls well short of the original. Dyck, Arnold. Two Letters/The Millionaire of Goatsfield/Runde Koake, trans. Elisabeth Peters. Steinbach: Derksen Printers, 1980, an accurate and lively translation of the author's three best short stories. Hadley, Michael L. "Education and Alienation in Dyck's Verloren in der Steppe: a Novel of Cultural Crisis." German-Canadian Yearbook 3 (1976): 199-206. Kliewer, Warren. "Arnold Dyck as a Literary Artist." Mennonite Life 14 (April 1959): 85-87. Peters, Elisabeth. "A Tribute to Arnold Dyck." Mennonite Life 24 (January 1969): 3-5. Reimer, Al. "The Creation of Arnold Dyck's 'Koop enn Bua' Characters." Mennonite Images, ed. 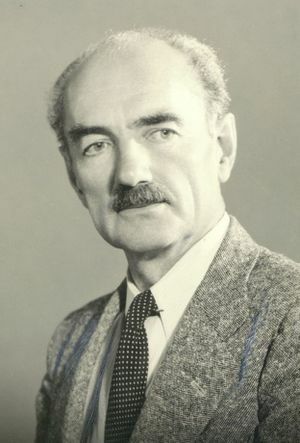 Harry Loewen. Winnipeg: Hyperion Press, 1980. Reimer, Al. " 'Derche Bloom Räde': Arnold Dyck and the Comic Irony of the Forstei." Journal of Mennonite Studies 2 (1984): 60-71. Springer, Nelson and A.J. Klassen, compilers. Mennonite Bibliography, 1631-1961, 2 vols. Scottdale, PA: Herald Press, 1977: 436. Suderman, Elmer F. "The Comic Spirit of Arnold Dyck." Mennonite Life 24 (October 1969): 169-70. Thiessen, Jack. "Arnold Dyck -- "the Mennonite Artist," Mennonite Life 24 (April, 1969): 77-83. Wiens, Gerhard. "Arnold Dyck at Seventy:" Mennonite Life 14 (April 1959): 80-84. Reimer, Al. "Dyck, Arnold (Abram Bernhard) (1889-1970)." Global Anabaptist Mennonite Encyclopedia Online. 1989. Web. 24 Apr 2019. http://gameo.org/index.php?title=Dyck,_Arnold_(Abram_Bernhard)_(1889-1970)&oldid=141092. Reimer, Al. (1989). Dyck, Arnold (Abram Bernhard) (1889-1970). Global Anabaptist Mennonite Encyclopedia Online. Retrieved 24 April 2019, from http://gameo.org/index.php?title=Dyck,_Arnold_(Abram_Bernhard)_(1889-1970)&oldid=141092. Adapted by permission of Herald Press, Harrisonburg, Virginia, from Mennonite Encyclopedia, Vol. 5, pp. 249-250. All rights reserved.